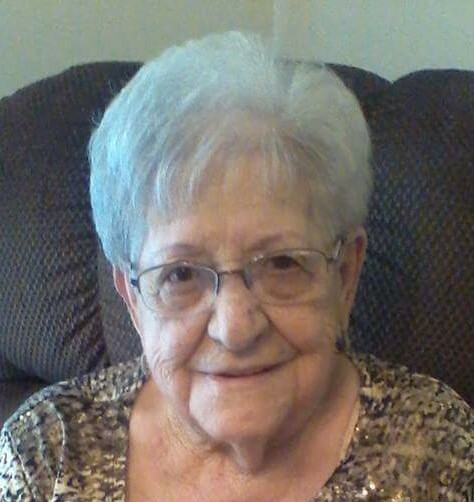 Thelma C. King, 97, Hillsboro, formerly of Hays, passed away on Friday, August 17, 2018 at Hillsboro Community Hospital, Hillsboro, KS. She moved to Parkside Assisted Living in Hillsboro in 2013 to be closer to family. She was born in Hays to Howard “Casey” and Matilda (Leiker) Houser on July 15, 1921. She married Billy Frank King on Dec. 10, 1938. He preceded her in death on March 26, 1989. She was also preceded in death by a daughter, Kay Artman; her parents; sisters, Charlotte Weltz and Rosalind Desmarteau; and a brother, Harry “Buck” Houser. She was a loving and devoted wife and mother. Although she never worked outside the home, while Billy King was Sheriff of Ellis County, she provided delicious homemade meals for the prisoners. She was a lifetime member of the VFW Ladies Auxiliary, American Legion Auxiliary and St. Joseph Catholic Church. She enjoyed watching K-State, the Kansas City Royals, and the Kansas City Chiefs. She is survived by her daughter, Billie (David) Strunk; grandson, Troy Strunk and great grandson, Tanner Strunk all of Valley Center, Kansas, and many nieces and nephews. Visitation will be at 3 p.m. on Friday, August 24, 2018 at the Hays Memorial Chapel Funeral Home, 1906 Pine Street, followed by a rosary at 3:30 p.m. Burial will follow in the Mount Allen Cemetery.